Work from home is enjoyable if you can produce enough in your working hours. More millennials are making the short commute from their bedroom to home office. 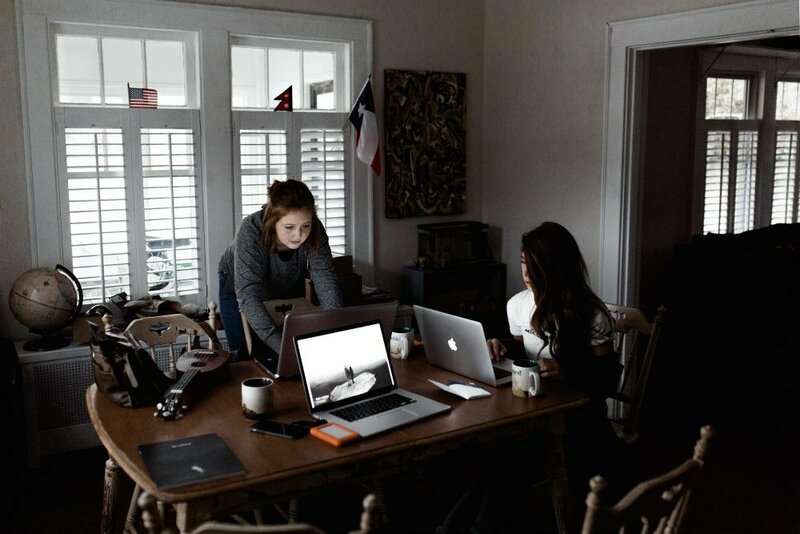 In fact, Forbes notes that the work from home trend has taken off, as in a span of ten years (2005-2015), the number of people working from home has increased 115%. While commute times are shorter and work attire is your favorite pair of jeans and t-shirt, working from home comes with its fair share of challenges. For one, when home is the office, you may never feel like you can get away from work. And two, you may feel guilty if you aren’t working; almost half of millennial employees don’t used their full vacation time. Besides the vacation-shame, perhaps productivity has something to do with it? Track Time, a productivity app, is just that: it helps users track how much time they spend on a project. Using this, you can see where you’re putting your time in: projects, invoicing, conference calls… From there, you can determine if you need to change up your workday or not. Stay Focused, another productivity app, is a must-have for millennials who feel overwhelmed by large tasks. Stay Focused really is a timer. Users can set it from 5- to 25-minute increments. (This is when you focus on that task.) After the time is up, you reward yourself with a 1- to 5-minute break. Overall, Stay Focused helps make overwhelming tasks more manageable. It goes without saying, whether a physical or online planner, you need a way to manage your projects and stay on top of due dates. Trello and WunderList are a couple useful resources to help you with that; as its names suggests, you write (or type) to-do lists for the day, week, or month. Meanwhile, users manage their busy schedules using boards. Have some weekly tasks? Schedule them the day or week before. Doing this now means one less task you have to do that day. Of course, there’s always going to be that last-minute meeting or assignment you need to rush for a client. But, with most of your day already planned, it should take you no more than a couple minute to work those into your calendar. Shahid Abbasi is an entrepreneur supporter. He helps small businesses find the best marketing solutions online. He shares his findings and learnings on MarketerSearch.com.